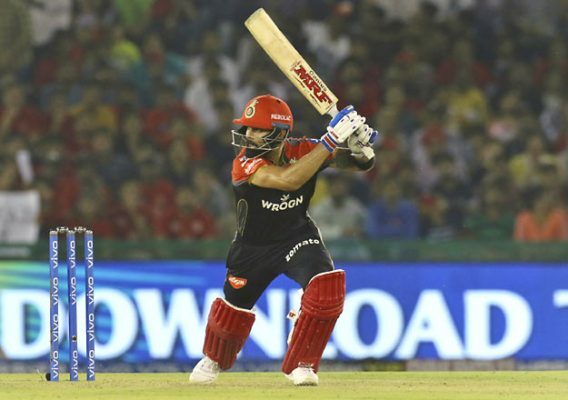 Mohali: Royal Challengers Bangalore skipper Virat Kohli has surpassed Chennai Super Kings batsman Suresh Raina to become the highest-scoring Indian batsman in the T20 format. The 30-year-old surpassed Raina’s record in the ninth over of the RCB innings. Kohli now has 8175 runs from 245 T20 innings at an average of 41.22 with four centuries and 59 half-centuries. Overall, West Indies opening batsman tops the charts as he has scored 12640 runs from 370 innings at an average of 38.94. New Zealand’s former skipper Brendon McCullum is placed at the second position with 9922 runs. He has scored 5218 runs in 170 matches in IPL whereas Raina has 5121 runs from 183 matches.